Make your visit memorable by staying at this modern hotel and within reach to tourist attractions. Before anything else, you’d want to find somewhere you could leave your things and get settled. First Central Hotel Suites is a place that you’d want to come home to every night. Located just a few minutes away from the metro station, it is easily accessible and a convenient choice. It’s also not as expensive as staying in touristy areas such as the Marina. 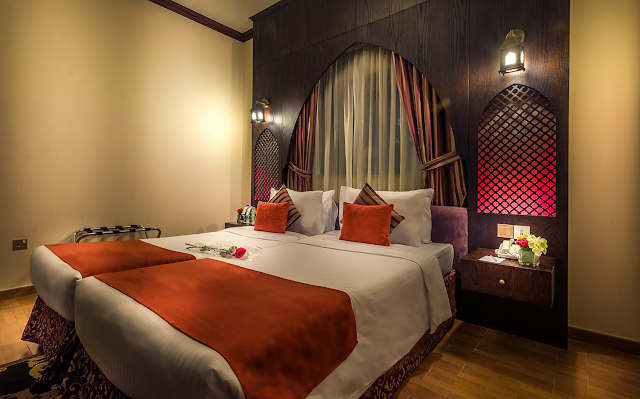 For a long stay accommodation in Al Barsha, this hotel has got everything you could possibly need during your stay: a kitchen, washing machine, a reliable Wi-fi connection, clean bathrooms, and of course a nice, comfortable bed. There’s also a restaurant available at the establishment, a gym to burn off those extra calories, and a pool to cool down during the day. Now for the fun part: exploring the city. Not far from the hotel, the Burj Khalifa is the tallest tower in the world which is why tourists don’t miss the chance to get a sight of this. Not far from the Burj Khalifa is the Dubai Mall which is a shopping heaven. But not only does it house hundreds of shops and restaurants, it also has an indoor theme park, the famous Dubai Fountain, and the Dubai Aquarium and Underwater Zoo. There’s also The Walk and Beach at JBR which you could get to by taking the free shuttle service provided by the hotel. Here you can shop, dine, take a stroll, and take in the scenic views. The Palm Jumeirah, the iconic palm-shaped man-made island of Dubai, is another stop you should not miss. With so much to do and so many places to see, book now at First Central for an unforgettable experience!